Austin Texas real estate lawyer, Jason Coomer helps land owners with eminent domain, condemnation, and expropriation matters. He helps Texas landowners obtain full value for their property when it is the subject of a public taking. He commonly works with other Texas Eminent Domain Lawyers including San Antonio Eminent Domain Lawyers, Dallas Eminent Domain Lawyers, Houston Eminent Domain Lawyers, and other Austin Eminent Domain Lawyers in providing representation and advice on obtaining fair compensation from governmental entities that are attempting to take property through eminent domain. If the State or another government entity is attempting to take your private property and you need assistance, you may need to contact a Texas eminent domain lawyer to help you negotiate a fair value for your land. Austin Texas property lawyer Jason Coomer provides assistance to Texas property owners and real estate owners. If you have eminent domain, private property, easement, or real estate questions, feel free to contact Austin Texas property lawyer Jason Coomer via e-mail or via our online contact form. The Fifth Amendment to the United States Constitution provides that private property shall not be taken for public use, without just compensation. This protection of against the taking private property by governmental entities without just compensation creates two important legal issues. 1) What is Public Use upon which private property can be taken? and 2) What is just compensation? The U.S. Supreme Court has largely given the "public use" requirement an expansive interpretation and has allowed takings of private property for conveyance to other private parties, or in some cases by private parties directly, on the theory that the new owners will put the taken land to more lucrative uses that are likely to generate more tax revenues. This is known as public us based on "economic redevelopment." It uses eminent domain to enable acquire and then convey land to commercial development or redevelopment to increase tax revenues. The Supreme Court's decision in Kelo v. City of New London, 545 U.S. 469 (2005), allowed economic redevelopment takings and has expanded the definition of "public use". These economic redevelopment takings have been heavily publicized in the media, but are now the law. The protection of the Fifth Amendment does not prevent a government entity from taking private property, but forces the government to pay just compensation for the property it takes. This issue is commonly disputed in the Texas courts as many governments want to pay as little as possible to take private land and most private landowners want to obtain as much as they can for their land. Most courts have held the fair market value of the condemned property to be the constitutionally required "just compensation." Its determination is a judicial question, and it is usually determined in a trial by jury, on the basis of the parties' appraisal testimony. In working with private landowners to prove up the value of their land, it is important for their eminent domain lawyer to work with them in obtaining a good expert for a land appraisement. 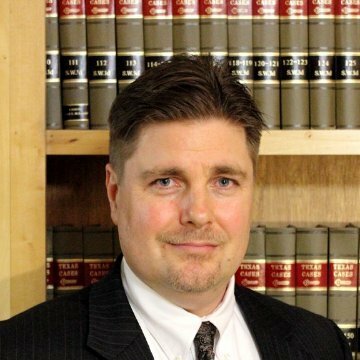 As an Austin Texas real estate and property law lawyer, Jason Coomer works with private landowners, real estate investors, buyers, sellers, and other individuals to obtain fair compensation for any taking of their property as well as to set up real estate development deals and resolve commercial real estate disputes. He also works with other Texas Real Estate Lawyers in handling large commercial real estate litigation. In working with other Texas real estate lawyers, Austin property law attorney Jason Coomer works hard to provide legal advice and good counsel on takings of residential property, takings of commercial property, commercial real estate development projects, commercial real estate negotiations, and commercial real estate litigation. He is familiar with a wide variety of Real Estate Law, Commercial Law, Business Law, Computer Law, Property Law, and other complex legal issues. The Law Offices of Jason S. Coomer, P.L.L.C. helps individuals and businesses prove fair market value in eminent domain and public taking proceedings. He helps his clients protect assets and negotiate fair compensation for their property. He also works on complex litigation issues including real estate deals gone bad, dissolution of partnerships, real estate development project profit disputes, domain disputes, trademark and copyright infringement, breach of contracts, damages from computer software and hardware defects, anti-trust claims, shareholder actions, business disputes, trade secret disputes, franchise contracts, free speech issues, jurisdictional disputes, and liability issues. If you need an Austin Texas real estate lawyer or an Austin Texas Property attorney to advise you on an eminent domain proceeding, forced easement, or other public taking, feel free to contact Austin Texas property lawyer and eminent domain lawyer Jason Coomer.